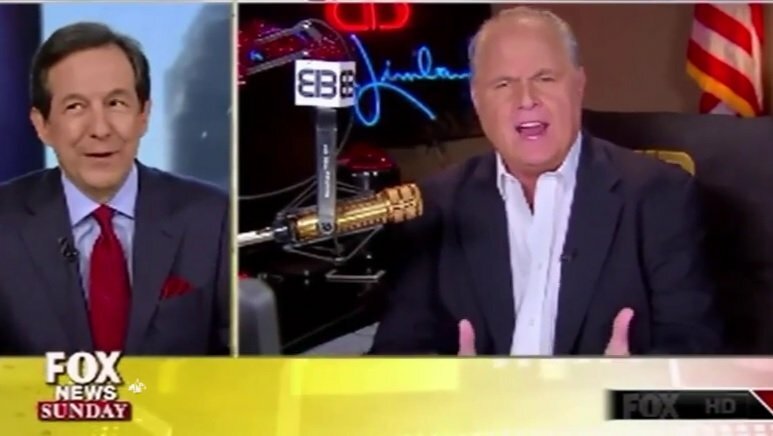 Rush Limbaugh joined Chris Wallace on FOX News Sunday in his first appearance on the show since 2009. I think there is a grievance politics in this country that is tearing this country apart, Chris… I think the real thing to note here is that this is tearing the country apart. It is literally ripping our fabric apart. And the president of the United States, one thing about him, he’s a great orator. You put the right words on the TelePrompter and this man can deliver soaring, inspiring rhetoric… If he wants to, he can inspire and I think it’s called for in this situation. This is not good for the country what’s happening here. Because it isn’t, I think, full-fledged legitimate. It’s not based on real-word grievance. It’s grievance that’s been amplified and made up. The president, if you ask me, could be doing a lot to stop this… And, for the president taking sides in this in a way that further divides the country I find reprehensible.… It’s worse Chris. It’s gotten worse. Of course, Obama isn’t helping the situation. Today he told BET that racism is “deeply rooted” in American society.